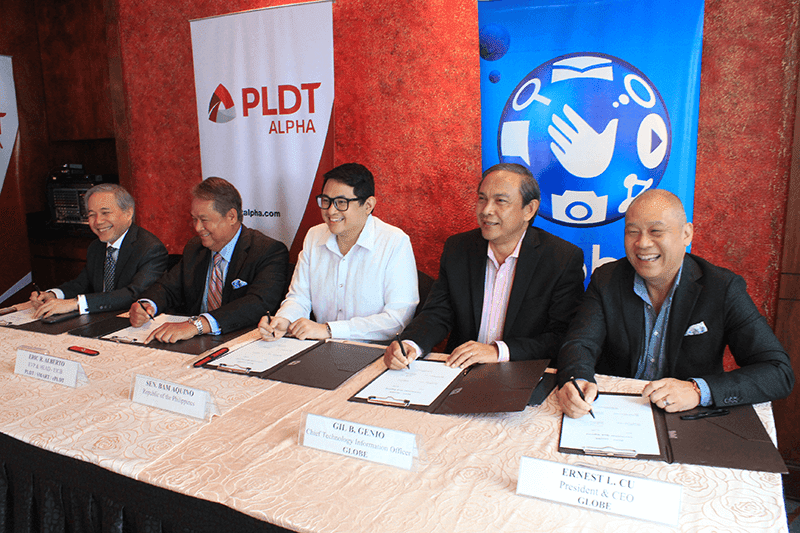 Globe, PLDT Signs An IP Peering Agreement To Improve PH Internet! Home / news / services / Globe, PLDT Signs An IP Peering Agreement To Improve PH Internet! Just in, great news, and finally! Both Globe Telecoms and PLDT came up to an agreement to improve internet services in our country through a bilateral IP peering arrangement. The end result of that is it'll make downloading / uploading of web content faster and more efficient. Earlier, both companies signed a MOA (memorandum of agreement) that enables them to operate, provide, and implement a bilateral domestic peering within 30 days. After that, the formal peering agreement is set to be signed by both companies within 90 days. IP Peering will also help minimize our country's dependence on international cables and prevent the hassles of incidents such as the Taiwan earthquake in 2008 where we were prevented from accessing the internet in particular. This IP peering agreement means that content and applications hosted by PLDT that's accessed by Globe will now be treated as a local content. 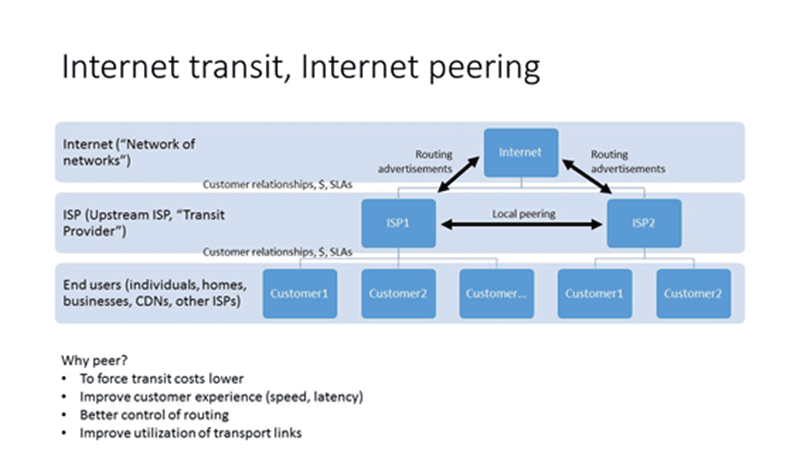 It'll minimize the requirement to route overseas, save additional IP transit cost, avoid delays in data transmissions, and improve latency in downloading sites. Note: A bout 20% of internet traffic is local, which means that traffic originates in the Philippines and terminates in the Philippines. As provided for in the agreement, both Globe and PLDT will provide a 3 Gbps per month free traffic threshold. The IP peering agreement means that content and applications hosted by the PLDT group which are being accessed by Globe customers will be treated as local content, and do not have to be routed overseas, causing additional IP transit costs, delay in data transmission and latency in downloading sites. “After six years of actively advocating for an IP peering, Globe welcomes PLDT’s decision to have a meaningful and applicable IP peering arrangement with us. We are happy with this landmark development considering the benefits to our customers in terms of internet experience,” said Gil Genio, Globe Chief Technology and Information Officer. “With an effective domestic internet peering in place, Globe customers will gain direct access to content and applications hosted by PLDT data centers and vice-versa. We are confident that this agreement will redound to a better experience on internet services benefitting customers of both parties and the country as a whole,” he added. With that new agreement, Globe will put in a 10 Gbps link and port for domestic peering between Globe and PLDT (GIX-PHIX). It'll cover networks managed / owned by PLDT such as Smart, Sun, and Digitel together with Globe's networks that includes Globe mobile, Bayantel, Ayala port, and Globe data center. However, the agreement doesn't cover Vitro Internet Exchange as Globe already has an agreement with them thru a 10 Gbps link. Once implemented, the said agreement by both PLDT and Globe will definitely benefit their millions of subscribers nationwide. Let's expect better reception, transmission, nicer browsing experience, less delay, and smoother online gaming experience.